Perfectly sized, high quality play-mats with anti-slip surface is available in various exceptional designs with characters, places and scenes from fantasy series. 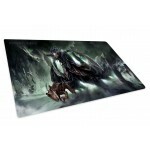 PLAY MATS There are 2 products. 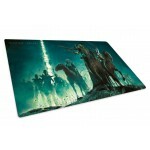 Ultimate Guard and Sideshow Collectibles proudly present a line of products with beautiful images straight from Court of the Dead.This perfectly sized, high quality play-mat with anti-slip surface is available in various exceptional designs with characters, places and scenes from Sideshow's fantasy series.